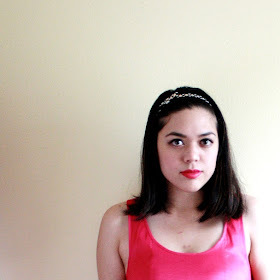 Just one more pre-haircut outfit after this post and I'll be caught up (sorta). 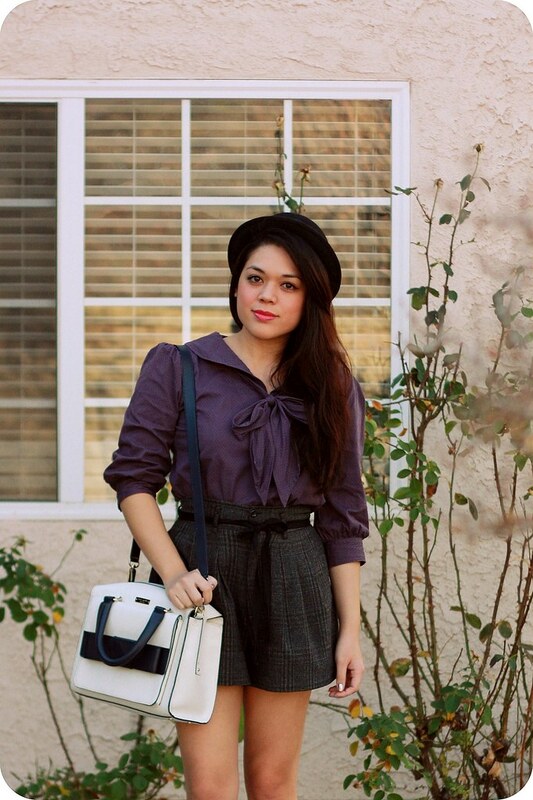 I got this vintage-inspired purple tie-neck blouse from a Dear Creatures sample sale last year (they have them semi-annually in San Francisco and Pasadena), and the bow satchel from one of Kate Spade's surprise sales last fall (over 50% off!). I'm always shopping the sales and clearance racks (my mom's influence, really). I highly recommend following both of them on Facebook for their sales announcements. Totally worth it. 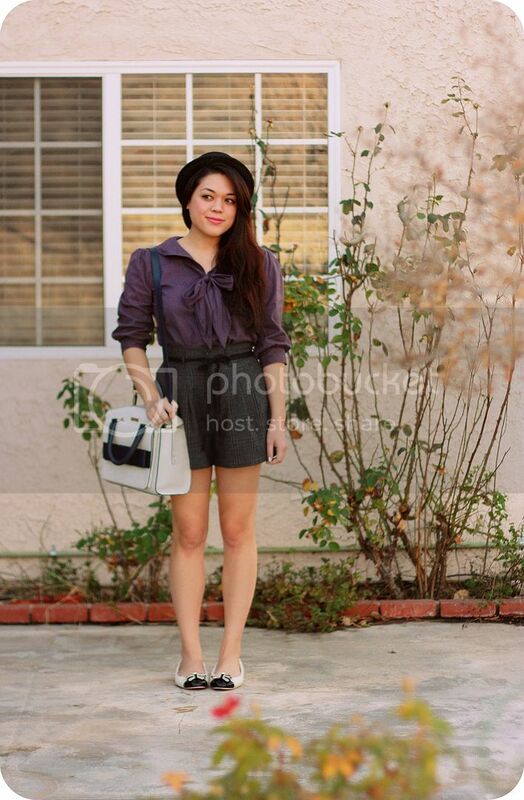 I wore the blouse and satchel with my high-waisted plaid shorts, tweed flats, and a bowler hat.